Women are known to carry their handbag everywhere they go like it is their best friend. Some men who are out on a date with their girlfriends will also take the advantage of stuffing their handbags with their own belongings too. However, not all handbag designs are suitable to be worn to every occasion and places. For the working ladies who are chasing up the career ladder, there are a few tips and handbags design that fit the professional setting. It is always important for career women to choose a handbag which is versatile to be matched with almost anything they have on. You will know you have found a good bag when it goes together well with the majority of your work outfits. Switching bags every single night before going to work the next day can be quite exhausting. This is because you will have to shift all your stuff into the new bag to match with another outfit. The tip is to choose black or neutral colour bags as your go to handbag for work. 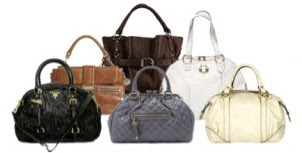 The next tip is to find a function type of handbag which means the bag is designed with many compartments. First, think to yourself what items will you be bringing along? 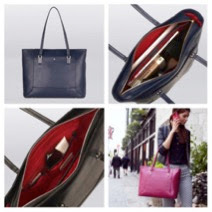 Then, pick a bag with compartments that can fit your belongings nicely. Normal items needed for women to carry to work are cell phone, purse, car keys, house keys, business cards, planner, tissues and make up. Besides that, you need to choose the perfect size of your work handbags. The reason is some ladies prefer bigger tote bags to bring to work as they want to fit their laptops in it too. However, for the work setting, choose a bag design which is simple yet professional no matter what size it is.